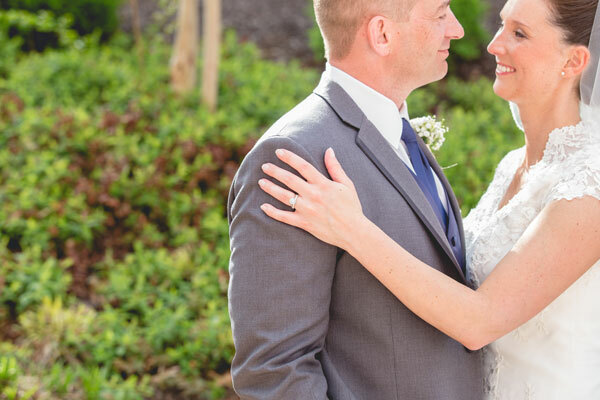 After a trick proposal at a nearby jewelry store, Cristen and David began planning their rustic, classic themed wedding. 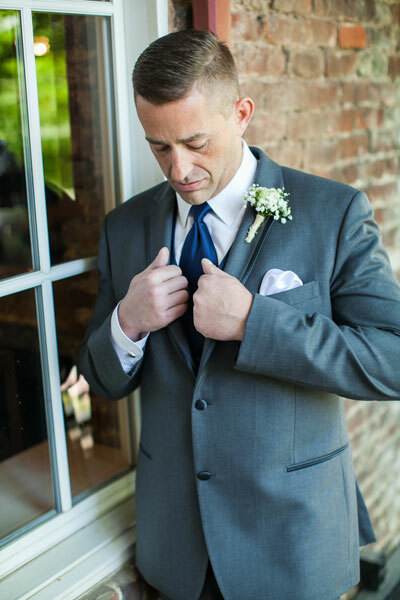 Cristen knew she wanted the wedding to be simplistic but also very elegant and classy. 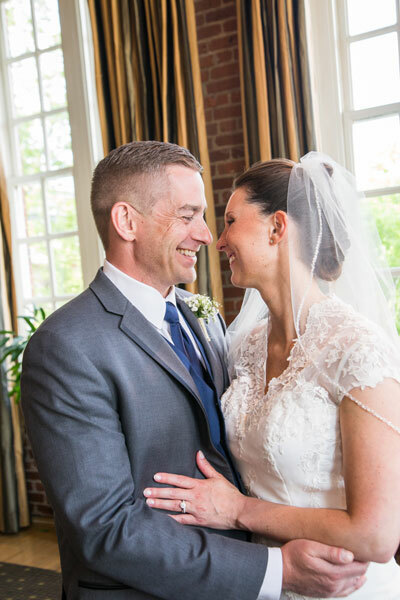 This vision as well as their history of weekend getaways led to their choice in the Craddock Terry Hotel as the venue for both the ceremony and reception. 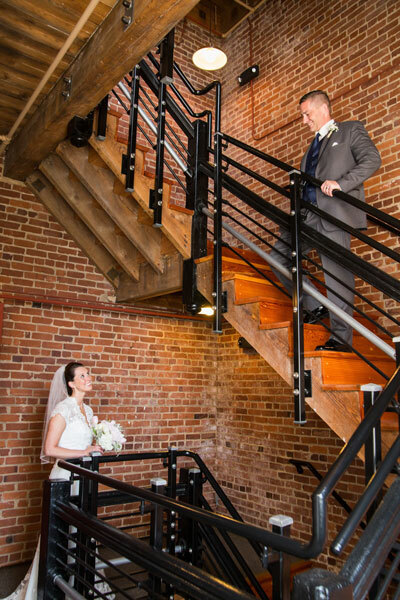 Cristen says the venue holds a special place in their hearts as it was where they dreamed of getting married long before. 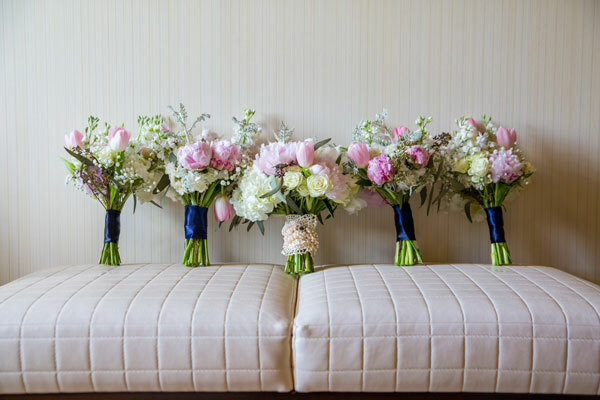 The color scheme of the wedding was navy blue, light pink, gray, and white with hints of burlap throughout. 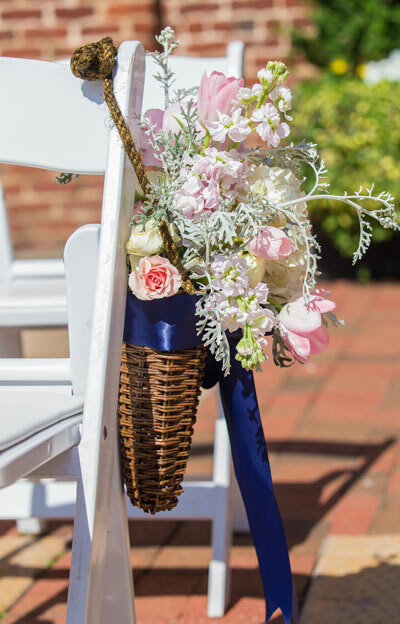 The outdoor wedding showcased these colors in the décor such as simple white chairs with coordinating flowers. 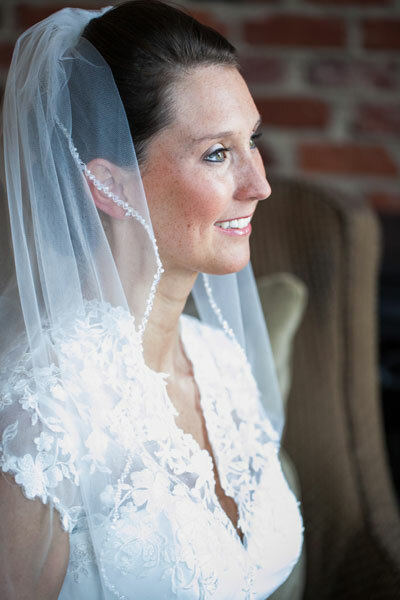 Cristen along with her wedding planner paid close attention to detail to keep their wedding weekend as unique as her and David's relationship. 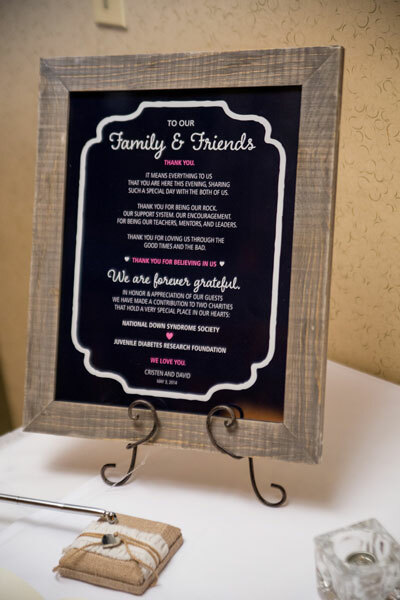 It was important to them to keep details personalized such as writing their own vows, handpicking the playlists, and incorporating David's three children. The wedding was kept small and intimate, and at the reception guests were given their choice of four entrees. 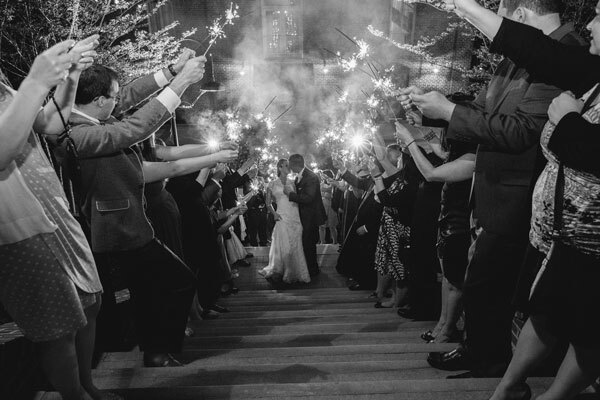 Be sure to see the Bowers wedding on page 32 of the third issue of bridebook!